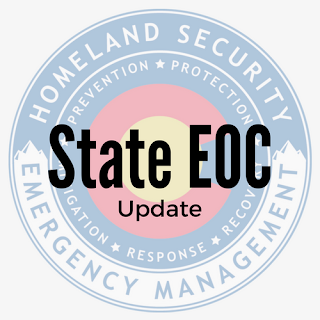 The Colorado State Emergency Operations Center (SEOC) activated at 9 a.m. on February 8, 2019 to provide technical assistance and support to Summit County following a large utility outage. The SEOC transitioned to Level II Operations as emergency response coordinators (ERCs) representing several state agencies were requested to provide support during the incident. SEOC is updating impacts to Community Lifelines as a result of the outages to anticipate possible resource request needs by Summit County. State EOC coordination calls held with Summit County EOC and Excel at 1 p.m. and 3 p.m.
Power restored to all areas before 2 p.m. The State EOC transitioned to Level III Operations at 3:15 p.m. Members will provide remote staffing and monitor throughout the weekend.